My Aromaleigh Ephemera subscription for this month just arrived yesterday, so I worked quickly to get an unboxing video shot (it's at the bottom of this review), and the look and review done for today! This month's theme is based on the movie, Eternal Sunshine of the Spotless Mind! Shipping - My box ships on the 2nd of each month, and then this month's arrived 2 days later via USPS from South Carolina to California. Product Size - This month's products were all minis, and the bonus samples were all sample sized. 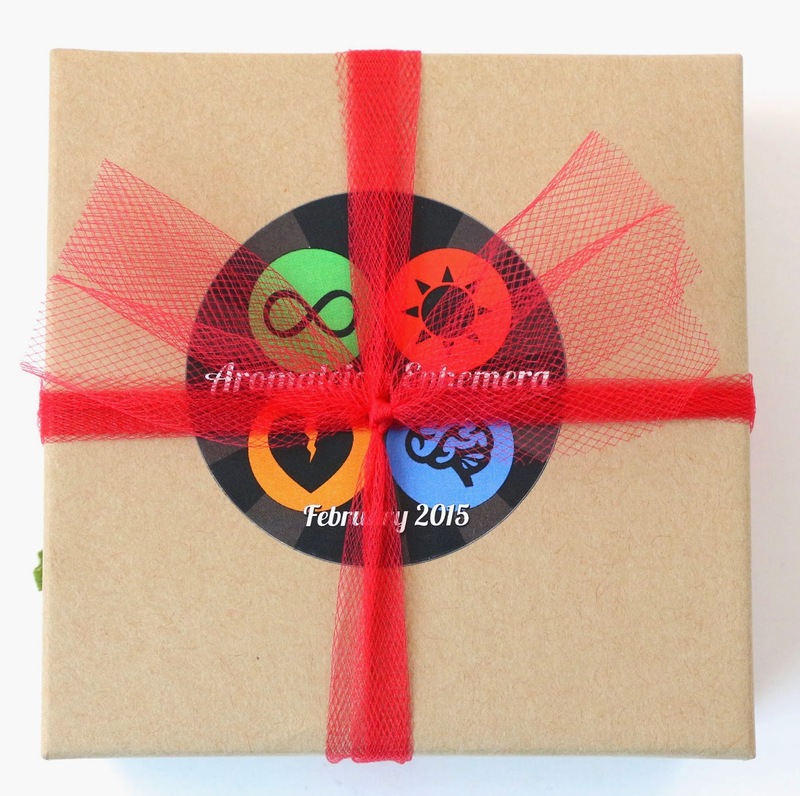 Free Samples - This month's box included one free sample from Alchimia Apothecary, and two bonus sample products from Aromaleigh. Here's the info card, and you can see it has a lot of information on it. It includes the look at the theme, how to wear the products, each product name and description, and about the bonus samples. I love the labels this month, they have images that tie in to the movie, and all the colors are the same colors we received in products this month. Plus, we got a little heart chocolate! Blessed Are The Forgetful - ($7) "The vivid warm red of Clementine's hair when she and Joel are happily in love, with a soft coppery glow of emotional states yet to come." 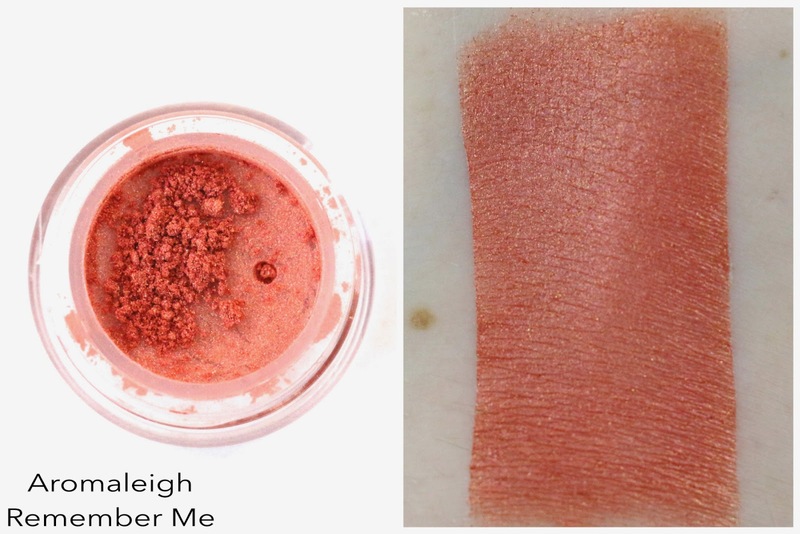 This blush is not quite red, it has a slight orange tone to it. You have to be very light handed wearing it, it's quite intense. But it looks lovely on the skin when you use just a little bit. Do I Know You? - ($4.50) "Enduring the aftermath of the breakup and memory erasure, Clementine's hair is blue. 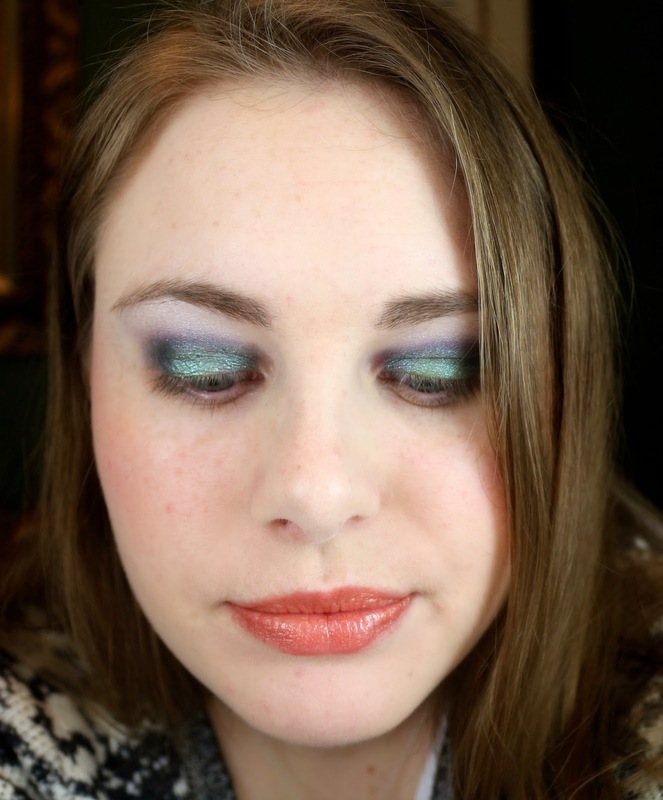 This shadow is a wintry blue with a lovely copper/rose duochrome shimmer." 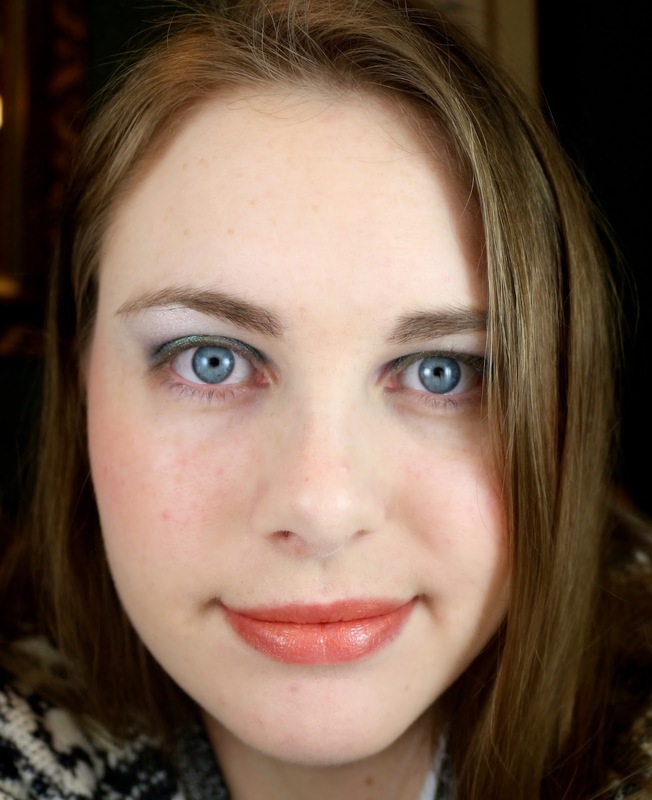 I used this in the outer and inner corners, as well as in the crease for my look below. 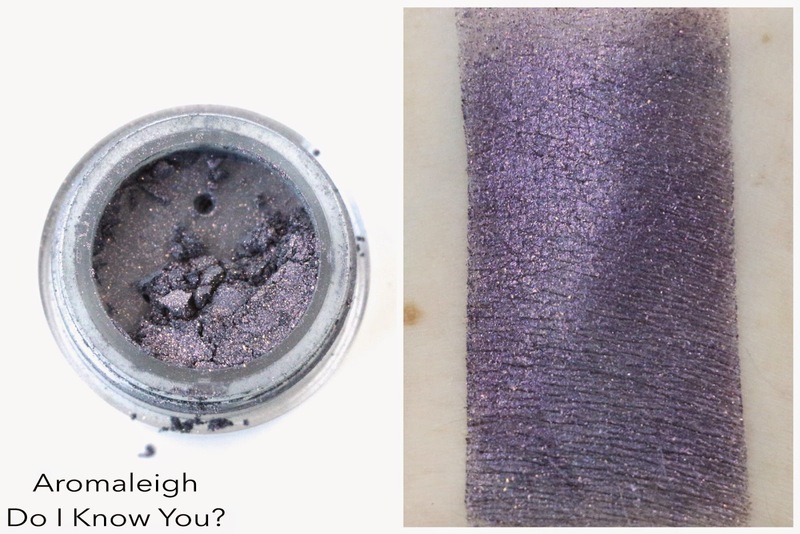 It's got a ton of copper shimmer, and it looks very lovely paired with Meet Me In Montauk. Meet Me In Montauk - ($4.50) "The green of Clementine's hair when she first meets Joel in Montauk, with a smattering of hopeful blue sparkle." I really like this shade just over primer, but I could tell it would look really stunning foiled, so I foiled it for my look. 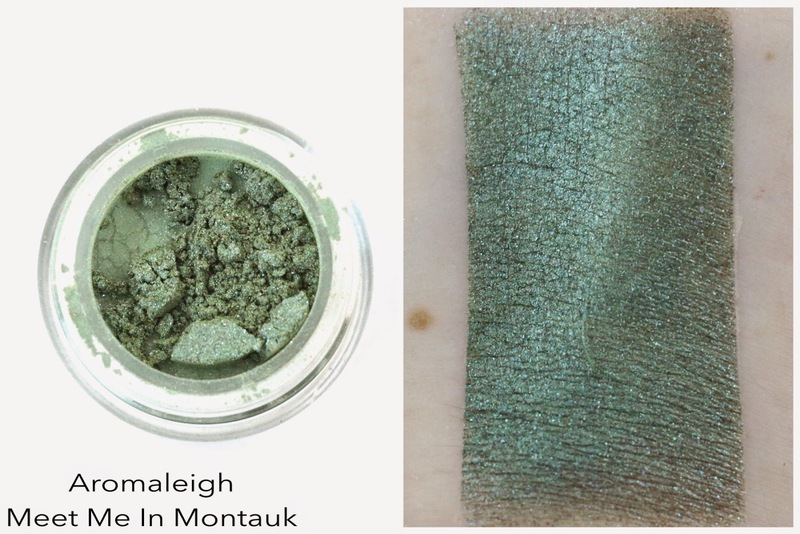 I bet over glitter glue this would also be beautiful, it's just a great muted mossy green shadow with a blue sheen. Remember Me - ($4.50) "The coral/orange of Clementine's hair as her love affair with Joel falters, accented by the golden amber glow of dying memories." I thought this was going to be straight orange when I looked at it in the jar, but it's more of a coral peach color! I love this shade, and it's lip safe so I used it as my lip color in my look. I am really happy with this shade, I am so glad it's not just orange! 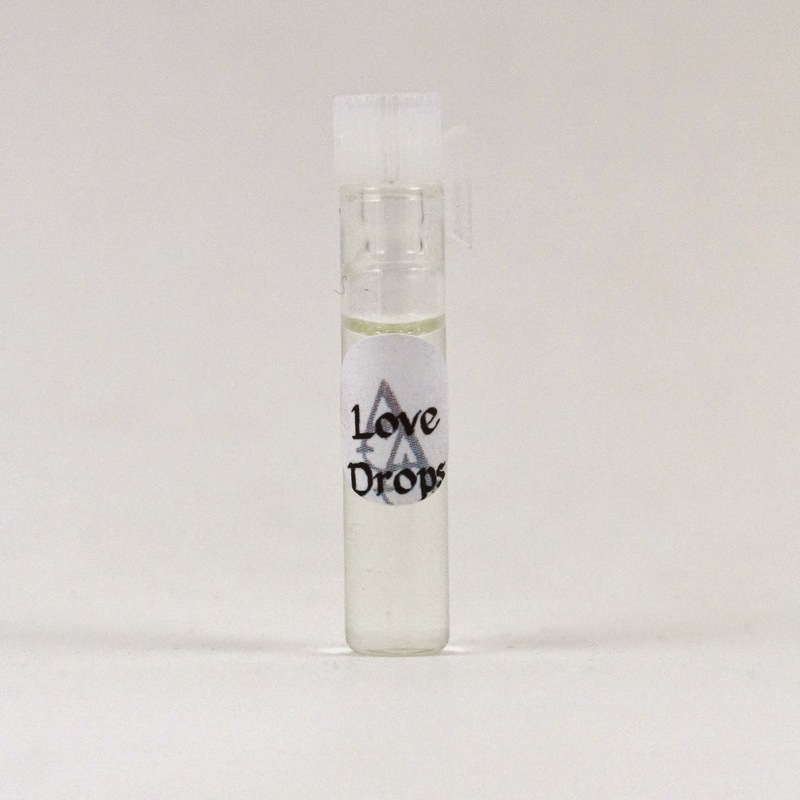 Alchimia Apothecary Love Drops - ($3.75) "Pink lotus and hawthorn roses burst with the brightness of Mandarin oranges and fresh green bamboo. Transparent hints of amber work to ground this blend." I smell a little of the florals, the orange, and the green scent. 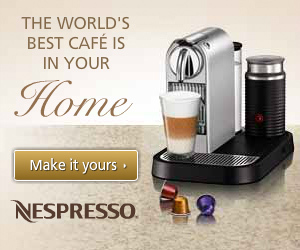 But it has a tendency to turn really baby powdery on me. I don't care for this scent, it's not for me. This is a shade from the upcoming Blade Runner inspired collection. 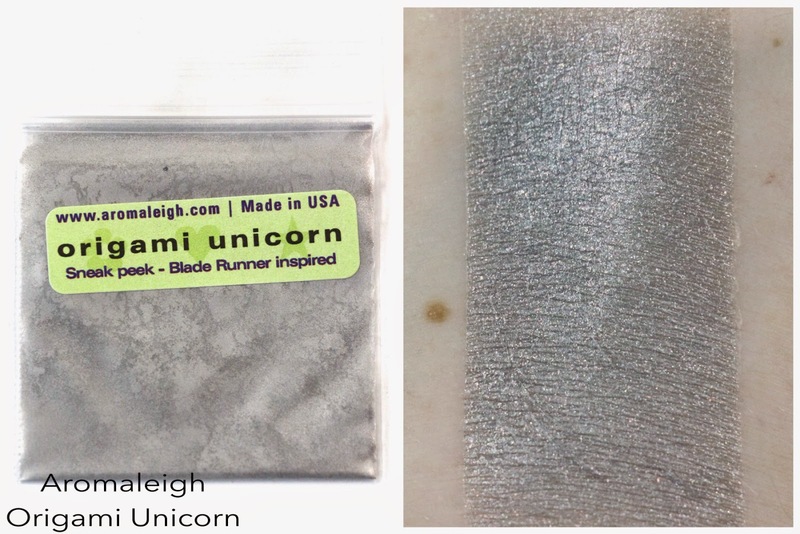 I had hoped it would be a very metallic silver just looking at it in the bag, but it's more of a glittery silver. This bonus sample is a sneak peek of next month's Ephemera theme, which I assume is something to do with Norse mythology! Possibly Thor or Loki? I sure hope so, I am excited for this theme. 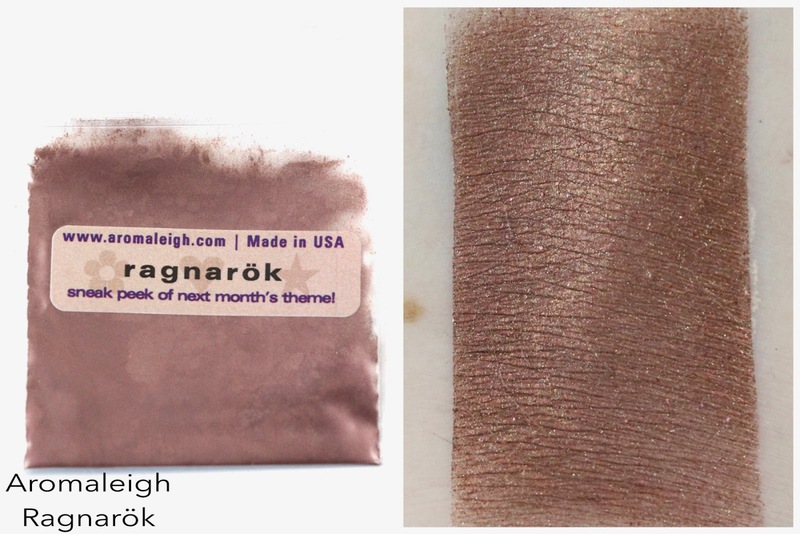 The shade is a beautiful creamy brown with a golden sheen and copper sparkle. Very pretty, I can't wait to see the rest of the colors next month! I was trying to do a quick 5 minute look, and I realized after I took the photos that I forgot my mascara. Whoops! I couldn't find a clear lip gloss, I don't even know if I have one, so I just used Remember Me over some lip balm. And my lips need a good scrubbing! 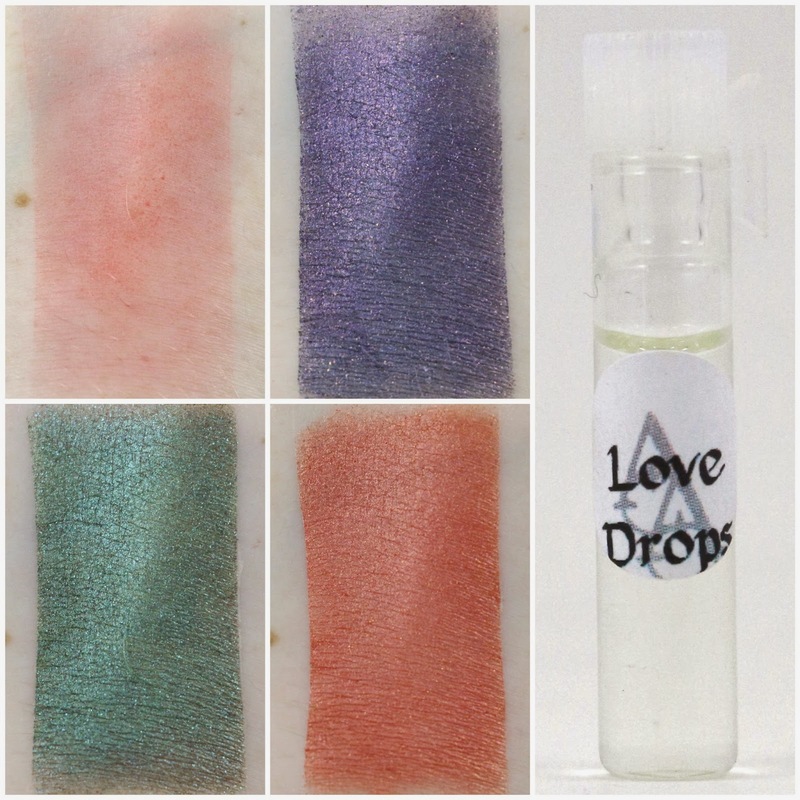 Aromaleigh Do I Know You? Overall, when I first unboxed these shades in my video I was less than thrilled. They didn't seem all that exciting. But now that I see that they are supposed to correspond with Clementine's hair color from the movie, and how pretty they swatched and looked on my face, I really like this month's products, with the exception of the perfume. I almost hope we get a lip product bonus next month instead of a perfume, because I haven't liked the last two perfumes we received. 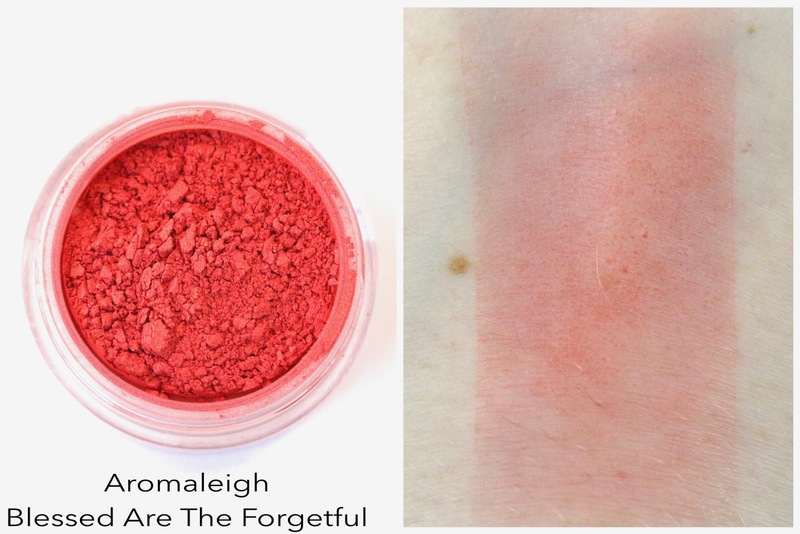 But I don't have a red blush, so I am excited to play with that more, and my favorite shade was probably Remember Me. I was so nervous to see what orange we would get, since that was hinted at, but it's a lovely coral shade instead of straight orange. Very versatile too since it is lip safe. 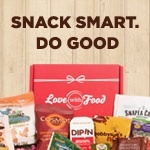 This month's box had a total value of $26.25. Availability - This month's subscription is no longer available, but subscriptions may be available for next month. I'm not sure what Kristen is doing for them, so just check their Facebook page or group for more information. Overall Satisfaction - My favorite shade was Remember Me, and I was pleasantly surprised by how much I liked this month. 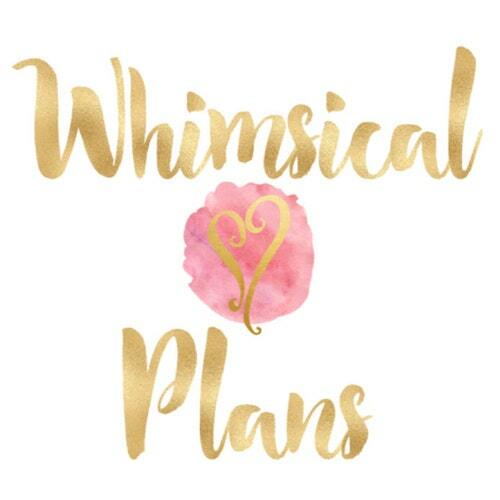 I wasn't sure if I was going to continue my subscription but after wearing the products, and seeing next month's sneak peek, I am definitely staying subscribed! Here's my video unboxing for the box! I'm definitely hoping I can pick this up in a destash, cuz Eternal Sunshine is my favorite movie ever and the colors look really fun. I really like that you did a look along with the swatches! Thanks! 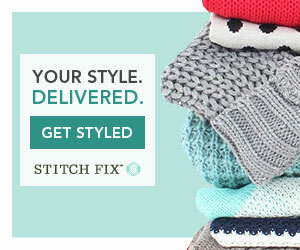 I hope you can snag some of the colors!